Introducing This Is Fake, Slate’s tool for stopping fake news on Facebook. It’s not enough to ignore bogus stories. Help slow their proliferation with Slate’s new debunking tool. Photo illustration by Slate. Photo by Medioimages/Photodisc. One of the more extreme symptoms of media dysfunction in the past several months has been the ascendance of “fake news”—fabricated news stories that purport to be factual. The phenomenon is not altogether novel, but the scale at which it is now being produced and consumed is unprecedented. A BuzzFeed data analysis found that viral stories falsely claiming that the Pope had endorsed Donald Trump, that Hillary Clinton was implicated in the murder of an FBI agent, that Clinton had sold weapons to ISIS, all received more Facebook engagement than the most popular news stories from established outlets such as the New York Times and CNN. Made-up stories with a liberal slant made the rounds as well, although the evidence suggests they propagated less widely. And the fakery didn’t stop with the election: The “Pizzagate” meme, which inspired an armed man to open fire inside a Washington, D.C., pizzeria earlier this month, began as a conspiracy theory but has been widely circulated by fake news sites. At a time when trust in the media is at an all-time low and political polarization is intensifying, fake news is hardly the only pox afflicting our democracy. But it is one against which we can try to inoculate ourselves, and perhaps one another. Slate has created a new tool for internet users to identify, debunk, and—most importantly—combat the proliferation of bogus stories. Conceived and built by Slate developers, with input and oversight from Slate editors, it’s a Chrome browser extension called This Is Fake, and you can download and install it for free either on its home page or in the Chrome web store. The point isn’t just to flag fake news; you probably already know it when you see it. It’s to remind you that, anytime you see fake news in your feed, you have an opportunity to interrupt its viral transmission, both within your network and beyond. Similarly, stories from websites we’ve identified as serial fabricators will be flagged with a banner noting that their source is known for spreading fake news. Users who have installed This Is Fake and connected it to their Facebook accounts can also help us build our running list of fake stories and repeat offenders by flagging them for our moderators. So how do we decide which stories count as fake? It’s a crucial question, and a surprisingly tricky one. The short answer is that we rely on crowdsourcing and human moderation by Slate staffers and contributors, who will manage a database of flagged sites and links. Here’s the longer answer: Until recently, fake news often referred to the news satire of publications like the Onion and shows like The Daily Show. But the term was given new meaning by the recent flood of false news stories concocted primarily to deceive rather than to lampoon or poke fun. And in the wake of the election, fake news has become a political football, with some Trump critics blaming it for his victory while some Trump supporters throw the label back at the mainstream media. 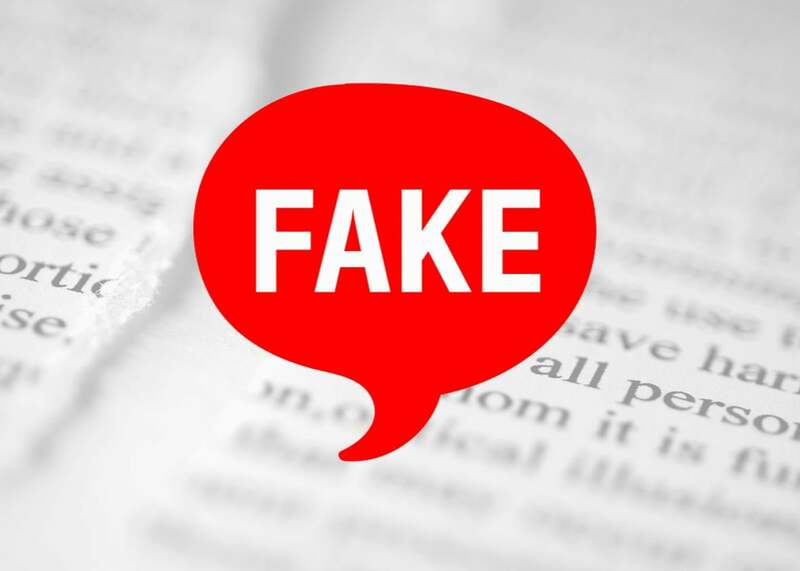 In the process, the phrase fake news has threatened to become a catchall for a motley array of perceived problems in public discourse, from partisan propaganda to misleading tweets or headlines, to biased or flawed news coverage by major media organizations. Even works of commentary and opinion journalism now risk being labeled “fake news” by readers who disagree with their premises or conclusions. Propaganda, bias, and misleading headlines are all issues worthy of attention in a broader examination of the media. So are the factual errors that established media organizations routinely make in the course of their work, whether through honest error or negligence. These problems deserve to be addressed in their own right and called by their own distinct names. Yet there remains the smaller, simpler, and more discrete problem of stories that are designed to look like news articles but whose key “facts” have been invented by their authors—and persuasively debunked by reputable sources. It is this problem that This Is Fake is intended to mitigate. Even this narrow definition of fake news is not without its complications, of course. “Pope Endorses Donald Trump” appears to have been invented from whole cloth by a website that traffics almost exclusively in “fantasy news.” But the story about Clinton selling weapons to ISIS is rated by Snopes as a “mixture” of truth and fiction, because it appears to have been at least loosely rooted in claims by WikiLeaks’ Julian Assange that U.S.-supplied weapons made their way into ISIS’s hands. While our moderators will exercise their best judgment and cite sources wherever possible, we know that there is no acid test for fake news. This tool is not perfect, and indeed no such tool ever can be. It’s also possible that you’ll install This Is Fake and see nothing flagged save for the occasional story shared by your estranged uncle. The point is to find fake news where it is spread and reach out to the people in your timeline who are spreading it. We hope that by combining crowdsourcing with thoughtful human curation, we can improve upon or at least complement some other early efforts that either relied on static, third-party lists or used rudimentary artificial intelligence to tackle a problem that is probably too nuanced for A.I. to solve. We also know that Facebook and Google are working on various tools to disincentivize fake news on their platforms, although both have historically proved reticent to exercise human editorial judgment. With This Is Fake, our intent is to build an ever-growing database that proves helpful to its users and provides at least a modest counterweight to the forces that drive fake news’ virality. Fake news is not the whole problem with media credibility today, nor the largest one. But it’s one that we as an industry and a society should be able to tackle together, regardless of our political differences. We invite you to join us in the effort.